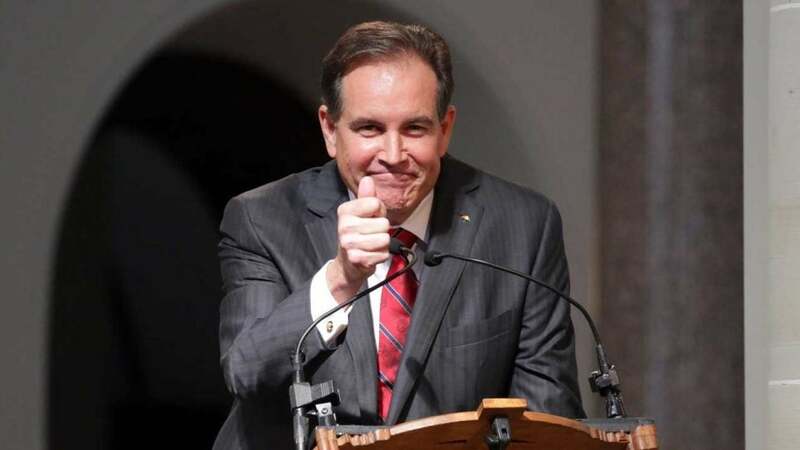 Right now, Jim Nantz isn't focused on the Masters. Nope, he's down in San Antonio prepping for the Final Four. But come Tuesday morning, he'll be jetting to Augusta to broadcast the Masters yet again, a gig he landed for the first time in 1986. Nantz has essentially become the voice of the Masters, and he knows it. He loves that, and if his conversation with me was any evidence, it's an honor he dreamed about as a little boy. Nantz sat down with me this week and shared stories about his early fascination with golf broadcasters, with the game itself, and why he gets asked about the Masters every single day. Those memorable calls he makes when the final putt drops? Some of them are premeditated, and others are completely off the cuff. That's what a 4-day, 72-hole event will do to you when it winds down to a climactic (or not so climactic) close. We talk about those calls, the Butler Cabin interview, the ceremonial tee shots and all things Masters in the podcast below. You can subscribe to the GOLF.com Podcast on iTunes or Soundcloud.